Integration of CUCM with CUC. These are applications for Cisco collaboration exam most especially CCNP, CCIE collaboration. VMWare and hardware to run VMWare is not included with the sales. VMware images of . USED Cisco IP Phone 7900 Series CP-7941G. Sold like in the picture, with handset stand, but without power adapter (works in POE). THIS PHONE DOES NOT INCLUDE A POWER ADAPTER, BUT IT IS ABLE TO FUNCTION VIA PoE. 1x Handset. Access Point (1). Hard Drive (10). Evedince of tampering, removal or broken seal, will VOID the warranty. Add to Favorites. It features up to 48 digital, on-screen speed dial/BLF keys to help users be more productive and efficent. The GXP2170 is the perfect choice for enterprise users looking for a top-notch executive IP phone with advanced functionality. The Polycom VVX 601 IP Phone will provide users an industry leading phone designed to enhance collaboration and personal productivity. Polycom VVX 601 IP Phone (2200-48600-025). Polycom , and more. The module itself boasts an intuitive and clear design, with 20 dual-colored extension keys and 2 arrow keys for page switching. Users can enjoy the added productivity that the GXP2200EXT brings with its feature rich design. 2 x Linksys Unlocked IP PBX Phone System SPA9000. SPA9000 Administrator Guide. IP PBX system with high-end features Now, you can not only do it with a cost-conscious voice over IP (VoIP) connection, but it's also so simple just about anyone can set up a fully working system in minutes. 1 x Linksys Unlocked IP PBX Phone System SPA9000. SPA9000 Administrator Guide. IP PBX system with high-end features Now, you can not only do it with a cost-conscious voice over IP (VoIP) connection, but it's also so simple just about anyone can set up a fully working system in minutes. • Cisco 7916G IP Phone Extension Module. You can use up to two Cisco Unified IP Phone Expansion Module 7916 modules with the Cisco Unified IP Phone 7962G, 7965G, and 7975G models. • Interface cable. Avaya B179 SIP Conférence Téléphone. ( SPARE BASE ONLY) grade B. condition:used/ tested occasion testé. No hands-on moves and changes are required with the phone-you can simply pick up the phone and move to a new location anywhere on your network. The Cisco Unified IP Phone 7965G also provides many accessibility features. Cisco SPA 303 IP phone, handset, and stand. Handset cord. Power adapter. The GXP2135 includes up to 32 digital, on-screen speed dial/BLF keys to help users be more productive and efficient. It supports the fastest possible connection. Automated provisioning options include TR-069, XML config files and Zero Config with Grandstream's UCM series IP PBXs. The Polycom VVX 410 Skype For Business Edition is an expandable multimedia IP business phone that offers crystal clear communications, and intuitive colour user interface. This version of the VVX 410 is compatible with the Skype for Business service as an optional extra. This entry level ‘always on’ phone enhances your communications options over just using a Skype for a Business client with a headset. Cisco Unified IP Phone 7942G. Revolving Networks is a global wholesaler of new, used and refurbished network, server and storage hardware. 1 Year Warranty. FREE – In the lower 48 States. Buying Apivio L2 Liberty L2! Check pictures! If your item does not work! 10 Polycom VVX 310 Stands. 10 Polycom VVX 310 Handsets. Includes 10 Handset Cords and Network Cables. LOT OF 3 CISCO SPA525G2 IP PHONES. TESTED AND RESET TO FACTORY DEFAULTS.NO POWER SUPPLIES OR POE CABLES INCLUDED. INCLUDES STANDS. Integrated headset jack with LED button. G.711, G.722, G.723, G.726, G.729a, iLBC, Linear16 codecs. SIP protocol. 297 x 160 pixel, backlit display. Built-in 10/100/1000 Gigabit Ethernet switch. The SPA504G SIP-based IP phone by Cisco provides all the features you want for your office VOIP needs. It is connected to the internet via Ethernet, so it is corded. You will be able to multitask with multiple phone numbers, as up to four lines are supported. Mit Ladeschale und Netzteil. kein weiteres Zubehör. Alternative Streitbeilegung gemäß Art. 14 Abs. gebraucht, getestet, funktionsfähig. Sehr guter Zustand. Displayschutzfolie noch am Gerät. siehe unten / see below. It is characterised by easy installation and a user-friendly display concept. The repeater can be deployed to extend the DECT radio coverage of Yealink W60B base station significantly in all directions, and when working with W60B, it supports two RT30 cascaded. 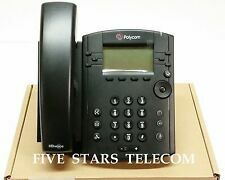 Polycom VVX 410 IP Gigabit Phone (2201-46162-001) VVX410 Tested and Cleaned With A/C Adapter. These phones are in Grade A condition. Each phone has been tested, factory reset, UV disinfected and cleaned. Avaya 9508 Features. Full duplex speakerphone. Integrated headset jack. 8 programmable feature buttons with three pages of display (total of 24 button positions), each with dual red-green LEDs to display status. Cisco 7920. We hold products from all the main manufacturers as well as lesser known ones ?. Sound & Vision. All jobs are carefully scoped to ensure minimal disruption to the end user. Phone System Bundles. Cisco 8845 IP Video Phone (CP-8845-K9=) - 1 Year Warranty - Lot - NEW. 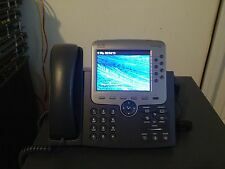 Cisco 8845 IP Video Phone (CP-8845-K9=). The Cisco 8845 IP Video Phone will provide users with easy-to-use comprehensive VoIP communications. 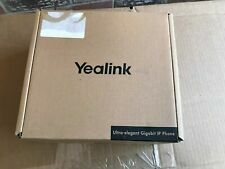 New never used, opened box for verification. Works with any VoIP PBX / Service! 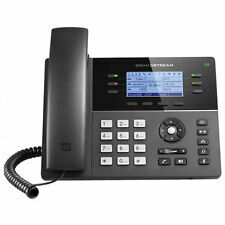 Grandstream GXV3275 Video Phone with 1 Year Factory Warranty NOT JUST 30 DAYS!!! Grandstream GXV3275 is Factory Discontinued, so while supplies last! Grandstream 1 Year Factory Warranty thru PriceComm~ Factory New In Box & Sealed. HD audio (available on handset and speakerphone). Avaya J169 700513634 SIP IP Desk Phone This item is new as shown. MPN: 700513634. If you're not sure, ask and we'll let you know. We hope our service will exceed your expectations! 2 x SPA500DS Expansion Modules. 24 x Cisco SPA514G Phones, complete with handsets and cords (No stands and no power supplies). The 2 expansion modules are untested. There are a couple of the phones that have issues with the screens (see photo 8). Grandstream GXW4004 IP Analog Gateway. MPN: GXW4004. 4 FXS ports. G.168 Echo Cancellation. T.38 Fax compliant.